A man who robbed a River North bank on Monday and another River North bank on Tuesday was arrested Wednesday minutes after he robbed yet another bank in River North, according to the FBI. Police responded to the Chase Bank at 230 West Grand at 12:37 p.m. yesterday after a worker called 911 from the employee break room to report a robbery in progress. The robber handed a note to a teller that implied that he was armed and demanded money, according to police. Knowing that the robber escaped via taxi on Tuesday, officers kept an eye out for cab passengers who matched the suspect’s description. The 18th District Commander, Daniel O’Shea, spotted the robber in the back of a taxi near Des Plaines and Grand. He and other officers pulled the cab over minutes later in Fulton Market. The suspect as detained, positively identified by bank workers, and then arrested. Charges are pending against the man. 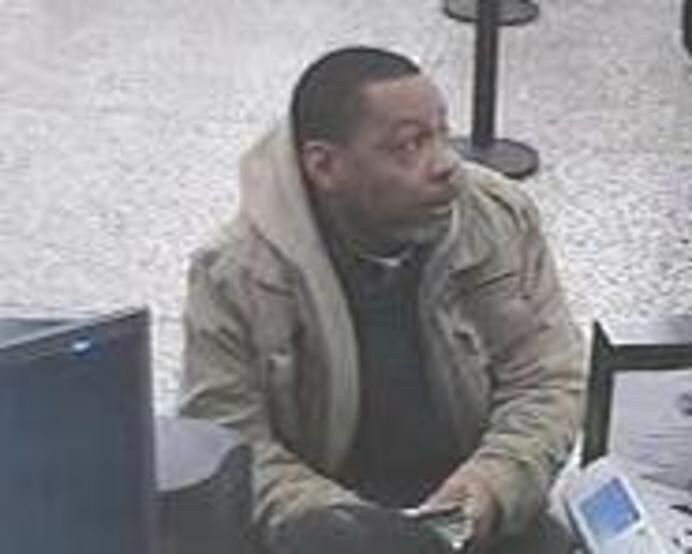 On Tuesday, the same offender robbed the Chase Bank at 1122 North Clark Street around 10:50 a.m. by handing a note to the teller in which he claimed to have a gun and a bomb. 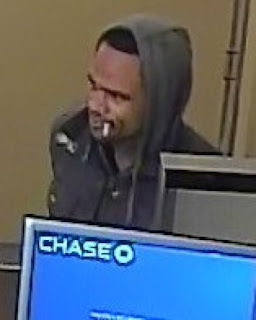 And on Monday, the man robbed the Chase branch located at 755 North Larrabee around 4:30 p.m. by passing a similar note to a teller. About 30 minutes after yesterday’s bank robbery in River North, a different bank robber held up another Chase Bank branch at 10 South Dearborn in the Loop, according to the FBI. The man passed a note to a teller in which he implied that he was armed, according to police. After getting an undetermined amount of cash, the man fled onto Madison Street. 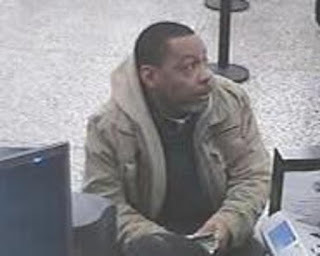 Witnesses said the robber was male, black, about 50-years-old, 5’2” to 5’4” tall, 150 pounds, and had facial stubble. The man was wearing dark-colored pants, a black sweatshirt, and a tan coat that he discarded shortly after the hold-up. The FBI is offering a reward of up to $1,000 for information leading directly to the arrest of the robber. The bureau’s Chicago office may be reached at 312-421-6700.